Every European nation that colonized North America utilized Indian slaves for construction, plantations and mining on the North American continent but more frequently in their outposts in the Caribbean and in the metropolis of Europe. Native American Indian Tribes have been awarded nearly a billion dollars in a historical settlement in early September 2015. 645 Native American Tribes won settlements against The U.S. Department of Justice, totaling in the amount of $940 million dollars. So the US silently declared a deadline of December 31st 2014, for those people to make land claims and identity claims. Even though the deadline has passed, there are thousands of Native Indians still winning settlements through the US Supreme Court and most commonly through the United Nations courts. So DO NOT give up your fight, because where there’s a will, there is a way! How would i go about finding out if my blood really is ?? Torya Williams Fort Myers,Fl. Do not depend on DNA tests to tell you the truth. They are carried out by those who have oppressed us historically and still today. They will not tell you the truth and will link you to Africa in order to give life to their bs propaganda. The indigenous Americans (not so-called Native Americans) are black americans. When they test you for DNA, they’d check to see if you have Mongoloid blood and honestly, I’d suggest researching because DNA tests are scams anyway. The most they can do is tell you who your father and mother are. Ancestry.com does a DNA test….$99, sometimes you can find a code for $79. Yes, total Scams and why should we Trust aLIEn Murderous Vipers! After extensive research on Ancestry.com, I found my paternal grandmother, great-grandmother, etc all to be “Cherokee “, in the late 1800’s and several times in the early 1900’s they tried to register on the the Dawes for their American Indian heritage but was denied many times, what can I do now, their is definitely proof, pictures, etc, showing where they lived, what their slave master wrote down, etc…. I honestly haven’t gotten that far in my search but I know the area my ancestors are from was Cherokee territory. I suggest going through FIAAH ( http://www.fiaah.org ) to claim your indigenous identity. Everything that is said in this article is correct, you can believe it or not, the choice is yours? Something many of you have stated in the past. No on my fathers side his grand mother was indian trying to find out if due any money. Are there ways to find out if you are part native. I’ve heard that my great great grandma and graleat grandma were black foot. So, This explains why some of our native features are so prevalent. In fact, “WE ARE” Afrikan and Native American! I watched genealogy shows that told people that they’re 98% Sub-Saharan and non native amer. because DNA was traced back to a certain tribe or area. That statement has crushed some even more because either the company doesn’t know this history or just refuses to admit the 1 and only truth. Smdh. I, for one, am ecstatic to get more confirmation on what I’ve been told all along!! Thank You!!!! Those features you are talking about are negroid- not African.. Negroes were all over the planet. How do I find out if my my blood is Indian?? I am American Indian and I can prove it ! I would like to trace my heritage, I am from the Northeast and was told my grandparents were of black foot and Cherokee heritage. Not sure how to start investigating if we are recipients. Please help! I only know about my family. My great grandfather was a slave in Virginia. He was married to Caroline a full blooded Cherokee Indian. They ran away to Canada and freedom. They had 2 girls and 2 boys. One of the girls was my grandmother Bertha Cook. She married a man who was part Spanish as far as I know. They had 9 children and my mom was a twin. They were the last of this union. This information is both eye opening and phenomenal in revealing what many had always hinted at. Thank you for this. Reblogged this on The Busy Bee Network . Outstanding Research. However, just how can one determine his/her blood connection to these native tribes? I’m in north miami looking to establish my status as a native. Family records are limited to native born, in NorthEast Coastline in region known as NewYor, married to a Danish businessman and brought to St. Croix by Carl Frederick Erickson. My great grandfather, grandfather and farther are all Carl Frederick Erickson. My birth record name is Carl Frederick Erickson. The RhodeIsland Black Historical Archives has my family New York birth records. Any suggestions you may have on further research methods or contacts to establish my status would be greatly appreciated. I have been spending time investigating my family history. We have taken DNA from mind mother and found out we have quite of bit of Indian blood. I have found mind forth generation grandfather. His name was waka or English language walker. Catherine was the name as well as mind alice was used throughout generation and mind family always knew we were Abraham. As I research my family on mind own. I found we have own a airport and a cemetery located in Greenville South Carolina. Where mind mother mother side of the family was regenerated. We do have our state recognizing but not our federal just yet. Now I have remarried and mind new husband mother in law lived to be over 90 odds years old told me that she was Cherokee ascendant as well. Mind work isn’t done by no means of the word. Mind church in which I attended also helps with mind ancestry. They only can verified four generation well as I have found over nine generation. I would need more insistence on mind finding I already sent information to north Carolina and they inform me that we wasn’t on their charts that I have to go through Oklahoma because they have several more tribes than them…thank you for this information and I will search more for having more finding concerning mind family history in order of having it of being known of my family members knowingly there roots. How do I find out if I’m of an Indian descent? My mom and dad were both from Louisiana and New Orleans. I believe there is truth to this . I’m from southeast Louisiana, we have always been told by our elders, that our bloodline on my mothers side was choctaw, st Tammany parish. Once part on the state of fl. I’m from Slidell too. My grandparents were born in Lauderdale County Mississippi. I was told we can be linked to Choctaw. I love finding out what “they” have lied about our ancestry & seeing that the truth is coming out more and more. Thank you for sharing. Great article! This is definitely a now topic. And the truth shall rise! My research has found that everywhere on this planet the invaders went they recorded that they found people of color. The names Indian, black, colored, Polynesian, melanesian, melanin, and all the other names were given by them, not us, confirming who they found during their travels. They identified those who they wanted to kill off so their people could take over the land and today they have re-named us African Americans so that we will have no claim to the land here, just Africa. In fact, in their quest to “take back their country”, they may decide to call those who have accepted the tag of African Americans immigrants and try to send them back to Africa. Even those of us who have done DNA testing that claims to trace you back to Africa does not exclude you from being from this land originally due to movement of our people back and forth on the planet. DNA testing which is their so-called science, was invented to convince people of color that they were not from this land but from somewhere else. Testing has become a real farce, now they are telling people of color that they are European and many other mixtures confusing the whole issue, but taking away the land claim. Fact is the whole planet was populated by people of color and we have been wiped out in the billions so that the ones with no color could take over the planet as they are gradually doing. Claim the whole thing people of color, it is yours! Send them back to wherever they came from, they are the invaders! It’s crazy because I can not find my identity anywhere. My grandparents were the absolute best anyone could ask for. My grandma was a very private person and never mentioned her childhood. And WATS even crazier is no one noes there maiden name. My grand dad on the other hand was a rambler he always would laugh a hearty laugh remembering his child hood wit siblings and his mom but the names were nicknames. Remembering my grandma would always say no matter where we go we will always b put on the back burner because we r Glovers. Sometimes I get scared because I dnt noe my own identity. My mom never gave up names either everybody was referred to as momma aunty grandma or sister. I’ve lost so much money on ancestry .com mylife archives and so many more. I am a lost soul and crying out for help geechi and Blackfoot is Wat I here from grandfather. My mom Indian and Creole. My mother’s maiden name is Glover…can trace it back generations mostly from Tx. The Texas Glover’s are related to Danny Glover, and a lot of them have native features. I would like to know what can be done. I know for a fact that I am Cherokee and western Indian. Daniel Boone is my an seater . We know that he was not a white man but in fact he is indian. I was told by my Dad that his grandma’s mother Maryanna Wolf was given that name when she was taken from her original family, that she always talked about but they couldn’t understand grandma talk half the time and plus grandma always like to eat half baked dough, and that her 1st.husband was a strong man.so thats why I want to know. Also that my Dad came from rich blood that he didn’t have to pick cotton. What does that mean? We Wuz Chiefs n Sheeit. I am a Harris from Virginia and have traced back a slave and she was listed as mulatto. We do have Indian blood. Not sure the tribe though. However, I suppose she had children with a white man because my family has native American /white features. I am a double Harris, I descend from the Harris families on my paternal and maternal side.Most likely than not , we’re distant cousins. The countenances you have described are consistent with my paternal Tuscarouran descent of Virginia. My maternal descent ,historically from North Carolina has a Cherokee admixture. Clearly the admixture of native American bloodline in black families is often understated or simply not acknowledged. 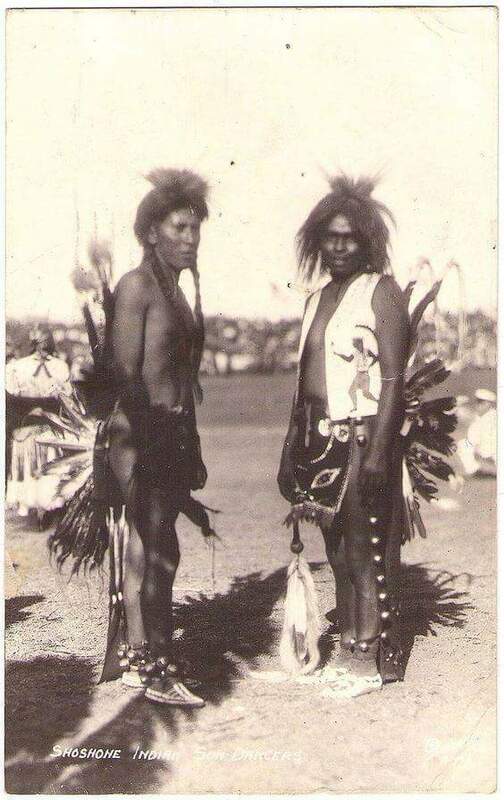 This is all so interesting I have been told by many in my family we have roots back to the Seminole Indians and East Indians however no one has been able to produce the documentation. Can you please point me in the direction of where I may be able to begin the History of where my roots truly are my great Grandmother was born on a Seminole Indian reservation in Florida back in the 1800’s. I really want to know the history of blacks in general. ..because whn I look at some of the tribes in Ghana. .I can tell there is something similar if not the same to the culture of the Indians in America. 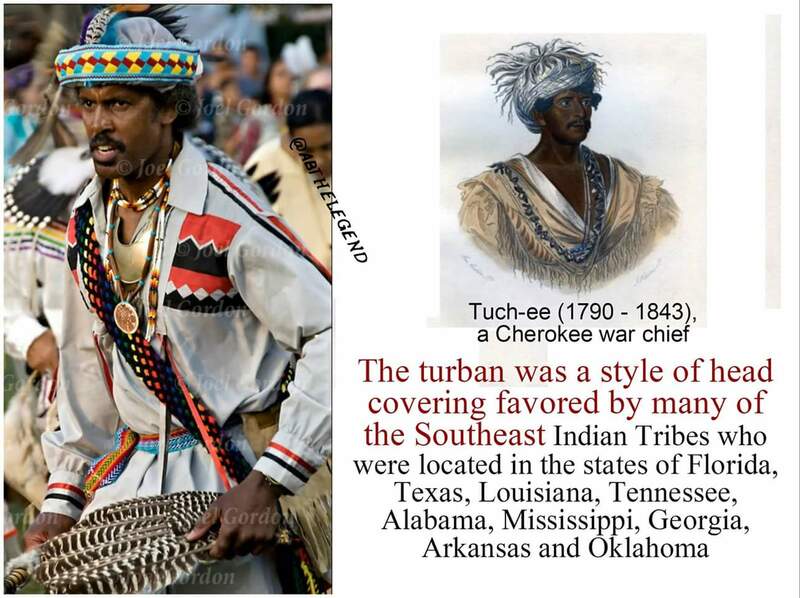 …their dance…how their warriors dresses and way of life is almost the same..
.I will be very glad if I am schooled on this topic which has been bothering my mind for a long time…thank you for this eye opening research. .. I am currently working on that. Stay tuned. FYI-There are several forms of DNA test. The $99 test that ancestry uses only test the “maternal” (mothers) bloodline. So if your native lineage comes from your fathers side, you will not get that information from ancestry results. There are other sites that test the fathers lineage but for some reason it cost $250. Just want people to be informed and not mislead. Wishful thinking, unfortunately. DNA tests are not accepted by most tribal governments when considering enrollment. The tests may show native ancestry yes, but cannot identify a specific tribe. You have to be enrolled in a tribe recognized by the federal government to get any benefits at all. Requirements for enrollment vary. Most require verifiable proof of lineal descent. DNA tests just don’t cut it. Don’t waste your money! I am Diné (Navajo). My people are going through a period of increased intermarriage and as a result there are more and more Diné who are of mixed ancestry. We are matrilineal, which means descent is traced through the female line. If your mother is Diné so are you. The BIA requires 1/4 lineal descent for enrollment as a Navajo. Generally speaking, at least one of your grandparents must be Diné. A DNA test might be accepted if you’re trying to prove parentage (descent from a specific person), but if you’re attempting to prove native ancestry in general, well, good luck. DNA testing is notoriously unreliable. Aside from the biology, there is the political implications of what you’re proposing. Namely, claiming a share of already scarce resources. Natives have never received adequate compensation or treaty-obligated funds to meet health and education needs. What makes you think that tribes will be willing to share that pittance? 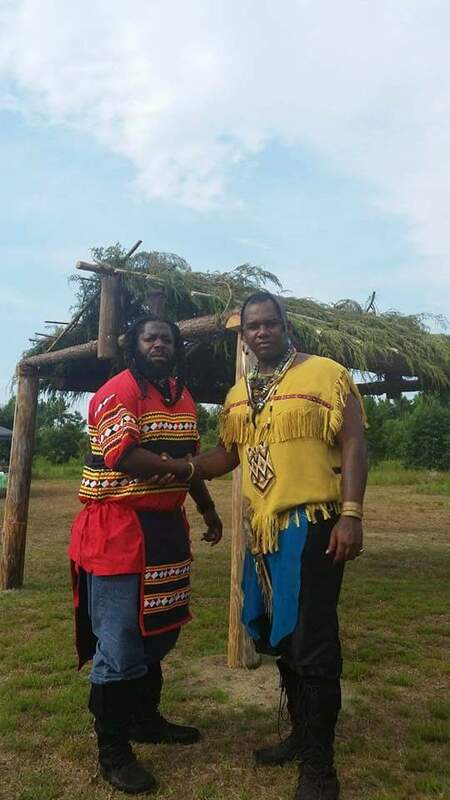 While there are probably millions of African-Americans with native blood, it is unlikely that they will ever legally qualify for membership in any tribe. It’s not that I don’t sympathize; my family comprises several different “racial” groups including African-American. Traditionally, membership was more fluid. People without a drop of Diné blood could be adopted and given a clan identity. At one time we had over 50 clans that included those adopted from other tribal groups. We even have a Mexican clan. African-Americans are known as Naahiłi or Naakai łizhiní. The latter comes from the early days of colonial contact when African-Americans accompanied Spanish expeditions into the Southwest. The name means “Black Spaniards.” My people must negotiate the twisted road between two vastly different ways of reckoning Diné identity: the traditional clan system, or the federally-mandated method driven by Blood Quantum. Only the latter provides “benefits”, i.e. money. All of this may not have any bearing on what seems to be your motive: gaining compensation as people who are owed because of historical wrongs committed against a marginalized mixed-race demographic. I don’t know if the federal government will look favorably on that. Which you probably know by now. If we lived in the old days, this wouldn’t be an issue at all. But unfortunately, the federal government doesn’t want to open the flood gates to claims by other marginalized groups if you get your way. I am the historian of the family. I am not researching my native history for anything but to document our history. I don’t want land, money, or membership. A piece of paper doesn’t confirm for me what I already know. I want to thank you guys for being so informative about the history of Black Natives. My family is of mixed ancestry which has been buried in historical denial and fear. I am trying to open the door. Soooo how would I start to claim my money and land? Any websites or resources you can point me too? My mother is native American from the menominee tribe which is located in Wisconsin and as far as our history according to my tribe and anything I’ve read. We have always been in America and more importantly we have alway been in Wisconsin. We still have our orginal land (well most of it) and we are of lighter skin. Not all indigenous Americans are dark skin. It all depended on where in the country you lived (more sun or less) also our history goes back further then the 1400’s before Columbus. So if what you say is true and Africans are the true Indians then what are we. I don’t think he’s saying “Africans are the true Indians”. He said many of the indigenous peoples that lived near the coast and in the south were shipped to different countries as slaves. Meaning the slave trade wasn’t just one sided. As you stated, it’s important to note that indigenous peoples had all different skin tones depending on location. Unfairly, many darker skinned indigenous peoples were labeled “African-American” creating generations of people who don’t know their true ancestry and were denied claims that lighter skinned indigenous peoples were able to obtain. As though this maybe true, white people will never acknowledge this or pay what is owed. For me, I just would like to know if what I’ve heard my entire life is true. My motivations are more about knowing myself. I’ve always been told that my maternal great-great grandmother was Chawtaw (not sure if I’m spelling it correctly) from either Louisiana or Arkansas; as she lived in both places and died in Junction City. My own features suggest that my people were not purely African. I embrace both, but I’d like to know more. If DNA test are not a good source, then what is? You have to show proof of who are you descended from. Nowadays some tribes are starting to close that circle to protect their investments or in many cases way to many registered tribal members. My Tribe is starting to do that because they use to accept 3/4 and now they only accept 1/2 and 4/4 MS Choctaw. Its more like the tribal members that are registered are wanting to close it because of too many mixes that are claiming and using descendants that they are not actually related too. 1/2 half’s are still able to get full benefits, but anything below that you will only get so much but not all benefits from the tribe. I have a very mixed heritage, my maternal grandmother was descended from native people/Indian but was born in the Caribbean; she said that they were called Taino / Carib/ Arawak/ Lokoan indian/native people. But her stories said she said we were not originally from their and her grandfather fought for their freedom with tribes their. Some were decimated by Europeans, diseases and murdered it is hard to tell. She was born in Grenada and our family historically island hopped Grenada, Trinidad, St. Vincent, Barbados, Venezuela and other islands. But many traditions are a mixture some similar to American Native People and African traditions. Some, of the stories from my childhood were unbelieveable, but aren’t so easily dismissed with the more I learn. We are not taught the Truth, the victors write the narrative. I’m caribbean born but raised in the United States. My Dna test on both ancestry and 23 and me said I was 2.5% native American indian. My parents are both guyanese but my mom ancestry is from Barbados. Originally my mom family handed down stories that some colored man from the south east of the United States and his brother got separated and he left to go to the caribbean. I didn’t believe the story until I got my results back and found that my DBa matched with black Americans as 2nd and 3rd cousins on the database from south carolina, georgia, mississippi, alabama and Florida. It was fascinating…that sort of confirmed my mom’s family story that her great grandfather was southern American n relocated to the islands. Also I’m not sure what type or tribe of native American is in my bloodline but it came up on the tests. There was also white but that’s another story. My grandmother was a tall light skin women , Her sisters were also . One day as a kid, I asked mama, We all called her Mama, What are you mixed with ? She told me african, Choctaw, and Irish . what degree of Choctaw Native are her grandkids ? before she married my grandfather, she was Thelma Cobbs, but became Thelma Wagoner . I believe my grandfather was from the Actacoochees an Indian tribe from Eufaula Alabama.His name is J.B Flowers how can I find Information. Hi peace and love, My great great grandmother and her children name Littlejohn’s are on the Dawes roll as Mississippi band Choctaw/ Cherokee it states rejected mcr with numbers. How do I move forward. My grandmother was part Indian. I want to know more about my DNA! My mother has no information. DNA testing companies will not tell the truth. I was told I have a un known percentage of DNA. What! (unidenifiable DNA) I’m in the process of finding a reliable DNA company, that is if thier is any out here who will tell the truth. These $5.00 Indians needs to be stopped and the true heritage and funds returned and go to the rightful people with Afro-Indian American ancestery. A person’s true hertiage is every man/woman’s right under God and the law of the land. So I say to these DNA testing companies STOP BREAKING THE LAW and do what’s right. My dad told me that we were comprised of Black Indians, Kenyans & Nigerians, but I’d only found this little book call ‘Black Indians’ years ago that was borrowed and never returned and nothing else until recently. Thanks for your work!! I spent over a year researching my own ancestry. I used an audit approach reviewing as much testimonial, documentary and physical evidence as was available. What I found was shocking!! All four of my grandparents were of Native ancestry. I could not find even one African in my research. To be honest I only researched my father’s fa completely. His father was 25 percent Cherokee and his mother decended from a different tribe. My family is from North and South Carolina where most of the slaves married Indians. Even the US government in 1897 acknowledged that southern blacks have “consideredable” Native ancestry. I also discovered the Racial Integrity Act of 1924 and it’s “One Drop Rule” which classified a person with as little as one drop of African blood as black. 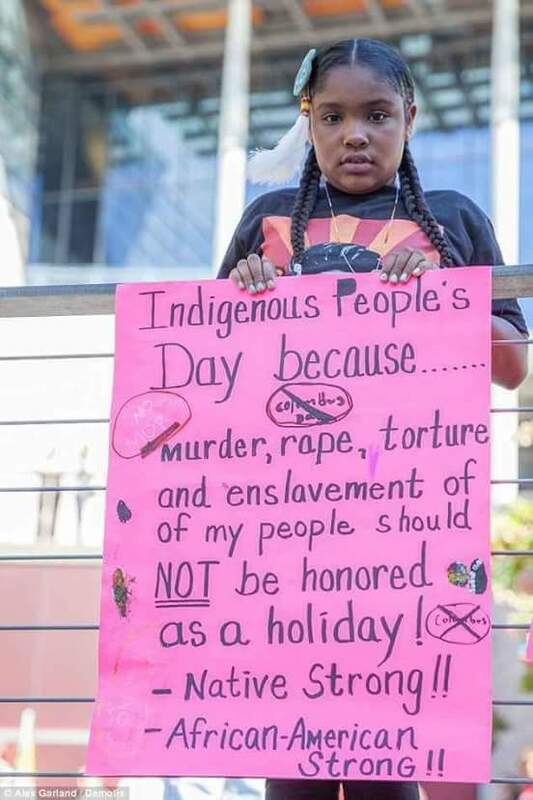 This meant that black people in the southeast of United States were robbed of their Native ancestry while the same law allowed Europeans with one drop of Native blood to be classified as Native Americans. This is why the reservations are full of mixed European Native Americans and $5 Indians. I invite all to read the article i wrote on why DNA test results aren’t realistic in quora.com. These test results are saying that black Americans are 70-80 percent West African is a lie plan and simple. Personally I believe the average black American is indegenious, native, African and European….and the percentages should be in that order. This highest being indegenious and native and the lowest African and European. The US government combined the indegenious and African peoples and called the all colored, then negoes, then black and now African American. The correct classification is indegenious or Aboriginal peoples. I concur fully with this write-up and invite all to read my write-up posted on quota.com … answered the question: Are DNA test results reliable? I have supplied much reference material including some by the author of this article. Shalom!! Sexism, racism, and colorism are pre-programmed, mental, illnesses founded, and grounded, in extremely low self-esteem. The belief in “white supremacy” has reduced the majority of pale-skinned [white and imitation white] people to living lies who have chosen to die in The Lie. Protecting the credo of a pale-skinned [white], male supremacy has always–in all ways–been more important than human decency, truth and justice. Discovery is a proud American tradition. The yet unknown tragedy is how “White People” continU to “diss-cover” their true, democratic, purpose. Soon enough, more of US will give thanks for the knowledge that becomes “won” with, and as, US. Prepare for The Rude Awakening of [white and imitation white] America. It will be called A 2020 Vision. That’s why my great grandparents look like they look. Dave Calloway you’ve done a great body of work, and I’d to be commended. I have something you may be interested in. Please contact me at you convenience. Onilengozi@yahoo.com.